I watched Fast Six yesterday with le boyfriend. You don't necessarily have to watch the previous Fast & Furious films to be able to understand this but it does help. I found myself falling asleep at the beginning but it definitely got more exciting towards the climax and ending. 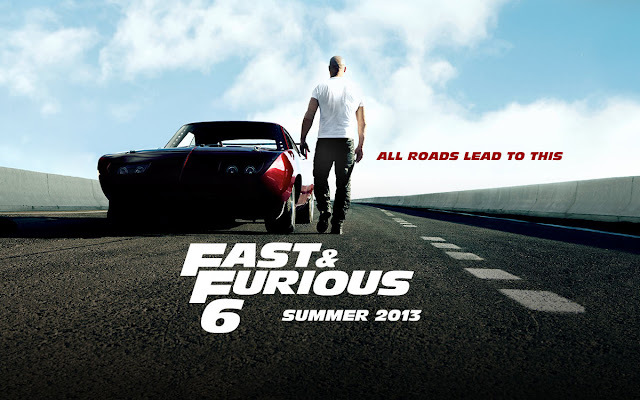 Like any other F&F films, you can expect fast-paced car chase scenes and numerous fighting scenes. I personally WOULD NOT watch it again because I don't like car films but le boyfriend loves it. He got so excited when he spotted a new brand and model of cars in the film =_= I'm, like, eh.